Over 2,400 people have taken the course so far, and now that it’s freshly updated, perhaps you want to take it as well. Before you start, here is a small intro to the course. The full title is “Device to AWS Cloud integration: Programming Embedded Devices and managing data in AWS IoT”. From this, it’s clear that you’ll need some basic knowledge of IoT and device to Cloud communication. As you can see from the table, you can learn the whole Zerynth section of the course in only 20 minutes. 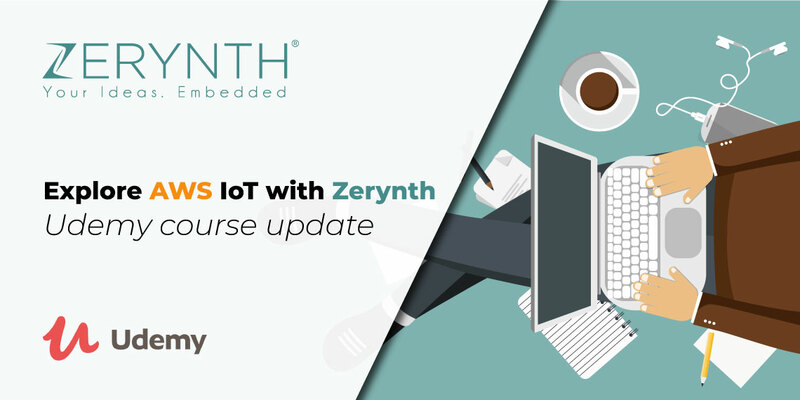 Download Zerynth Studio today, and start programming 32-bit microcontrollers in Python. Zerynth Studio is free to download and available for Windows, Linux, and Mac OS.